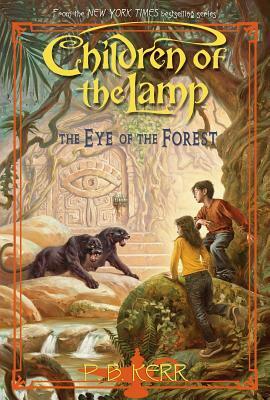 Bestselling author P. B. Kerr is back with a fifth book in his highly imaginative and magical CHILDREN OF THE LAMP series! In their latest adventure, John and Philippa Gaunt find themselves tangled up in a spellbinding mystery that takes them deep into the heart of the Amazon jungle in book five of the NY TIMES bestselling Children of the Lamp series. When a collection of Incan artifacts goes missing, the Blue Djinn of Babylon dispatches the twins and Uncle Nimrod to recover them. Along the way, though, John and Philippa encounter their friend Dybbuk, who was drained of his djinn powers but is determined to get them back. P. B. Kerr was born in Edinburgh, Scotland, where he developed a lifelong love of reading. Although the Children of the Lamp books are P. B. Kerr's first for children, he's well known as the thriller writer Philip Kerr, author of the Berlin Noir series, including, most recently, A QUIET FLAME; IF THE DEAD RISE NOT; A PHILOSOPHICAL INVESTIGATION; GRIDIRON; THE SHOT; and many other acclaimed novels. Mr. Kerr lives in London with his family.